What a fabulous card. Love the background and great job on the coloring. I LOVE this, Zella. A great card for a man, too, which is one I'm not good it, and tend to put off at all costs. Thanks for sharing your creativity. I appreciate your fellowship and participation. What a majestetic lion. 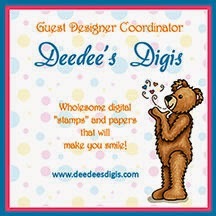 Thanks for showing your card for paperminutes. 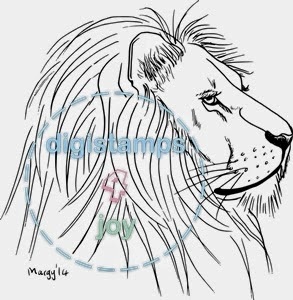 Oh, love the way you colored that great lion image! The prints, and wood buttons really go great with the theme. What a fabulous card!! I love the background papers you used!!! Thanks for joining us at DCD this week! Very nice card...Love the animal textured papers you used. Beautiful! We are blessed that you joined us at our Challenge at Word Art Wednesday. Leaving you with God's Word in Psalm 145:18, "The LORD is near to all who call on him, to all who call on him in truth." Have an awesome day! Lovely card! Thank you for playing along with us at Allsorts this week and we hope to see you again!